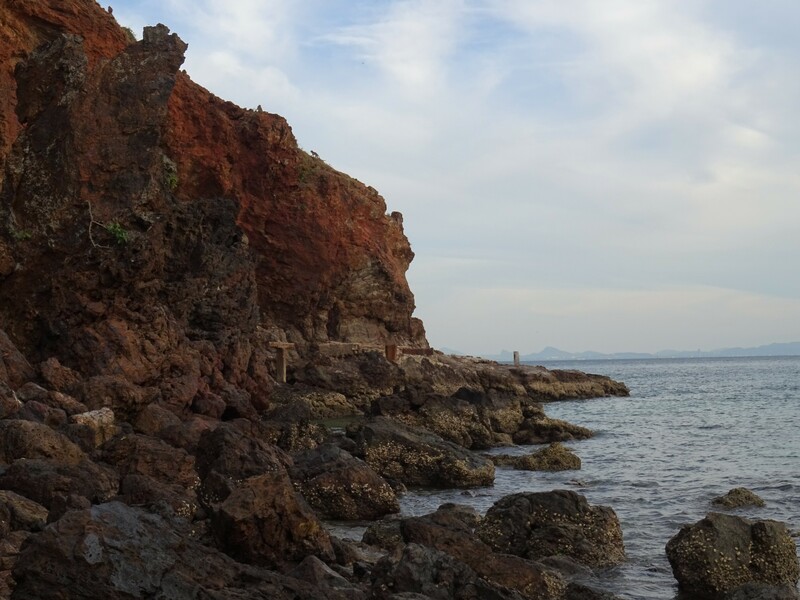 A few weeks ago I had the wonderful experience of watching macaques on a rock on the beach of the Thai island Koh Larn. Until sunset there was only half an hour left but luckily the light was enough for some nice pictures. 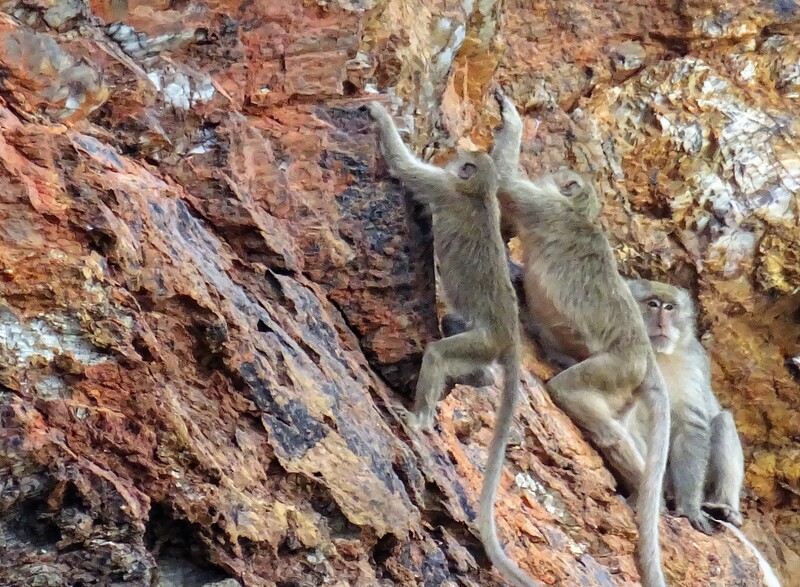 I don’t know what species of macaque it is, so readers are welcome to provide an ID. This entry was written by whyevolutionistrue and posted on January 30, 2019 at 7:30 am and filed under photography, primates. Bookmark the permalink. Follow any comments here with the RSS feed for this post. Both comments and trackbacks are currently closed. Some nice photos. Pretty good free climbing as well. I am by no means a primate expert but flipping through my Primates of the World (Petter & Desbordes) I think those might be along-Tailed Macaques, Macaca fascicularis. 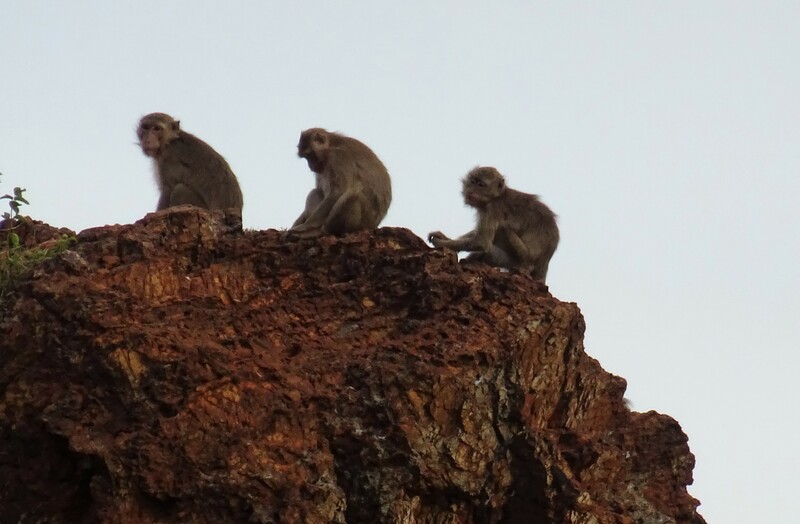 It looks like only three species have the longer tails, but the other two live in India and Sri Lanka. I’d concur: Macaca fascicularis. 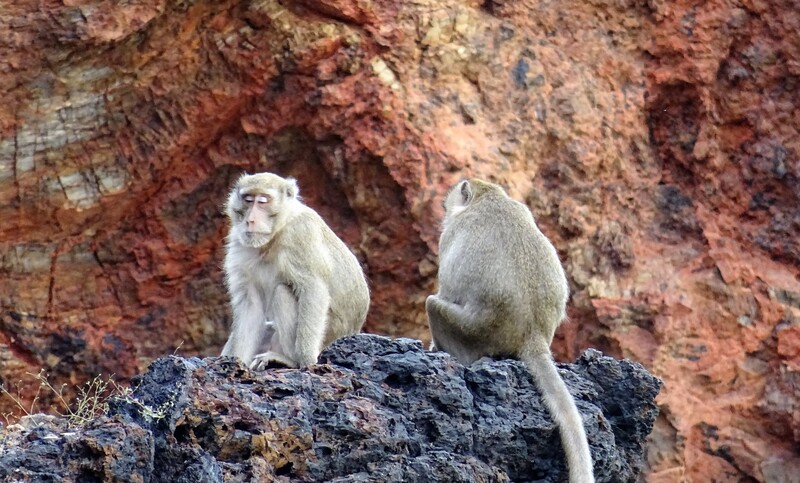 I see them called crab-eating macaques, and these live near the sea where they can chow down on crabs and other seafood. Very nice! What a great experience. How cool. 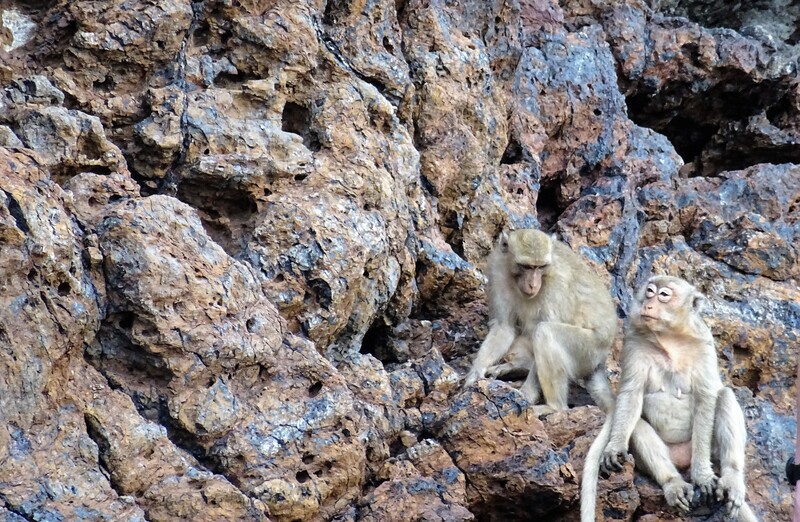 The macaques and the rocks. Thanks.